Let’s face it. No one likes to greet the world with yellowed or stained teeth. That is one reason why teeth whitening is one of the most popular trends in cosmetic dentistry today. It gives you the bright white smile you deserve to present to the world. If done correctly, it is also safe and effective. 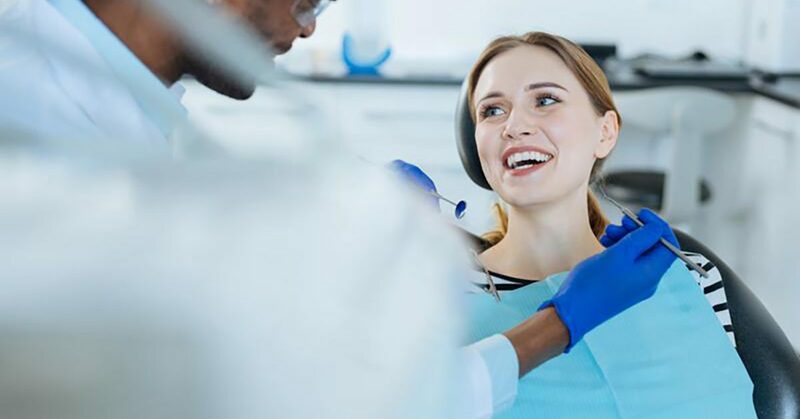 You may wonder what the differences are between professional in-office whitening and the whitening products you can buy off the shelf. The differences are significant and the results are even more important. Stronger formula: The active ingredient used for in-office treatments is much stronger than the products you buy in a store. That means it can do the job quicker and give you better results. Light assistance: Using a special lamp can help the stronger whitening formula penetrate deeper into the tooth’s enamel. With an at-home treatment, the whitening gel can only go so far. Fast results: An in-office whitening treatment takes less than an hour. Most home whitening products take at least a week to see any results. For quick, brighter results, in-office treatment is better. Personalized care: When you buy whitening products at the pharmacy, you are pretty much on your own. With an in-office treatment, you get personalized care based on your needs and desired outcome. This procedure helps your brighter whiter teeth stand out from your gums for an outstanding smile. For maximum results, we use the Phillips Zoom whitening system here at Rocky Mountain Smiles. It offers patients brighter, whiter smiles without a long wait. We love to see our patients walk out with a smile they are proud to show everyone. The Phillips Zoom QuickPro is perfect for anyone who wants to get whiter teeth with the shortest office visit possible. In 30 minutes, you can get a smile that is up to 4 shades whiter. The dentist will prep your teeth and gums for the whitening varnish. Each tooth then gets a layer of varnish, then a layer of sealant to protect the sensitive tissue of the mouth and gums. The only thing you have to do is brush the dried varnish off 30 minutes later. With the Phillips Zoom WhiteSpeed, you get even more dramatic whitening, up to 8 shades whiter after a single treatment. The dentist applies a layer of whitening gel to your teeth, then exposes the gel to a special blue LED lamp. The light activates and accelerates the whitening agents in the gel. This process is repeated three times. After the final treatment, the dentist applies a gel to protect the enamel and to reduce sensitivity. You also get whitening trays and gel to take home for touch ups in the future. The entire process takes less than one hour. Phillips Zoom Whitening gives you the chance to transform your smile over your lunch break or before you go home in the afternoon. Everyone will be stunned at how teeth whitening transforms your smile and gives you an extra pep in your step. Call Dr. Bigus and the Rocky Mountain Smiles team today to set an appointment for whitening your teeth.